Mary Doll Foundation School takes pride in being an institution of learning. It is now universally acknowledged that the first five years are the most crucial years in an individual's development. The Mary Doll family is well aware that there is no other time in life when so much is learned in so brief a period. Our focus is on stimulating your child's intelligence. A variety of learning tools including storytelling, dramatic play, singing, creative sessions, puppet shows and sensory equipment like building blocks and jigsaw puzzles, forms the keynote of our approach that seeks to stimulate the intellect of kindergarten children whilst ensuring their optimal physical, social and creative development. We, at Mary Doll Foundation School, infuse this belief into our lesson plans each day to ensure that your child develops a positive self-concept and feeling of self-worth. We believe that a child's first learning experience outside the home should be an interesting and joyful experience. At Mary Doll Foundation School, we seek to help the child make a successful break from home while developing a sense of security and feeling of success. 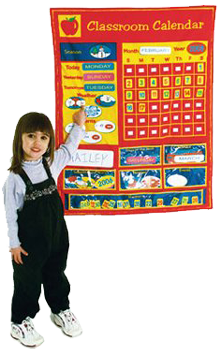 Development of self-expression, self-control and responsibility is fundamental in helping the pre-schooler become part of a new group and will build a sound foundation for kindergarten. "This is informed to all student of class 10th and 12th that Final Project Report for Board Exam submission is going on and Board Practical will be held between 12thFebruary to 25th February 2019. So attend the class on regular basis and keep in touch with the school notice."